Where science meets magic and fun meets education! 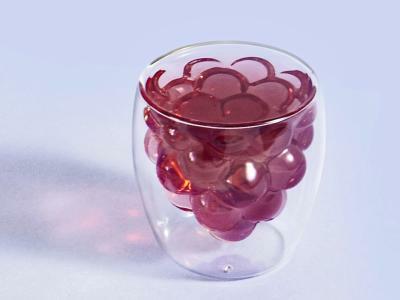 Fill this glass with red wine and marvel at the optical illusion - it looks like a bunch of grapes. 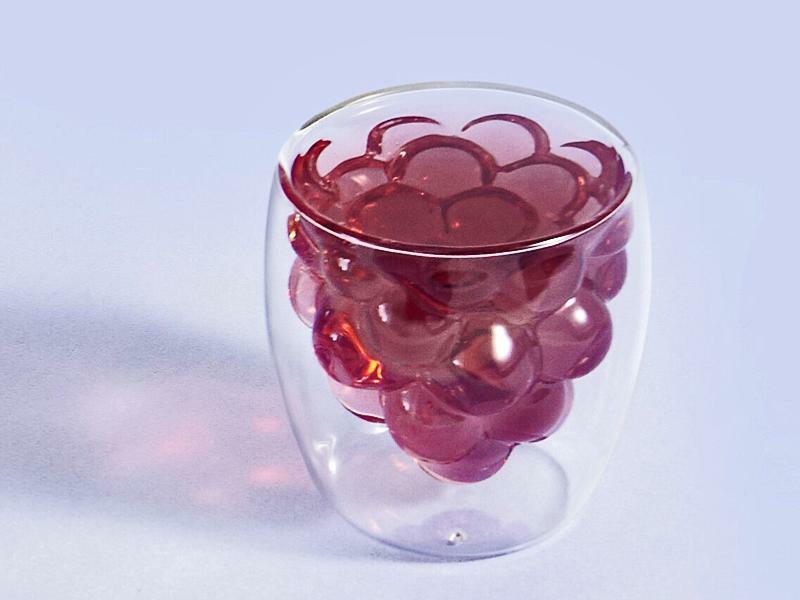 These glasses are perfectly usable drinking glasses, made of borosilicate glass. However they have a double wall, and the inner wall is shaped like a bunch of grapes. If you pour red wine or any red drink into the glass, it looks from the outside as if there is a bunch of grapes in the glass! You get two glasses, packed in a functional presentation box. Each glass will hold 180ml (6.1oz).